This article is sharing about days from Tuesday, March 8 to Thursday, March 9. 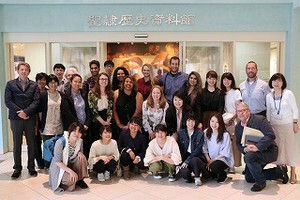 In the morning, AMU student and faculty members visited “Ozora Ryoiku Center”. They performed “angel care” in the afternoon. 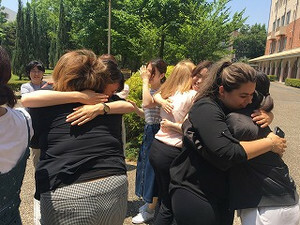 They learned uniqueness of nursing in Japan caring patients after they passed away. 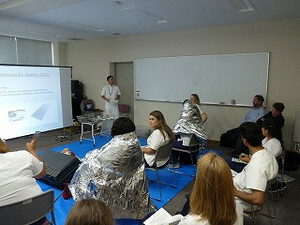 They participated in the 2nd international symposium in the morning. 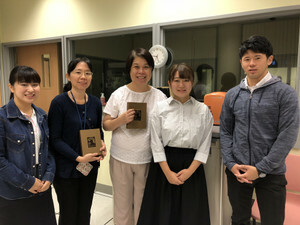 Four presenters (SCU faculty member, AMU faculty members, vice president from Texas A&M international University in the US) gave presentations about nutritional care for the elderly. 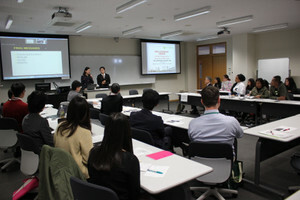 They understood and discussed about current problems in each countries. 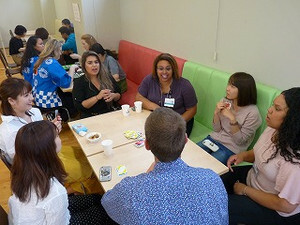 There was a Student Interaction Event hosted by SCU students at lunch time. They played games and performed dances. Even though there were language and cultural brriers, they had a great time. 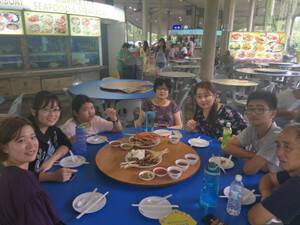 NYP students met up with their host family and spent the weekend with homestay families. 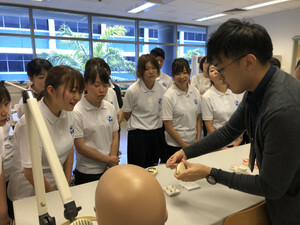 12 nursing students and 1 faculty member from Nanyang Polytechnic (NYP) in Singapore and one nursing student and two faculty members from Army Medical University (AMU) in China participated in the study program from Tuesday, March 5 to Saturday, March 9. This article is sharing about days from Tuesday, March 5 to Thursday, March 7. 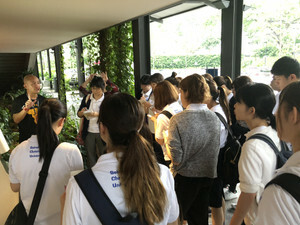 On the first day, all students and faculty members attended an orientation on SCU campus. 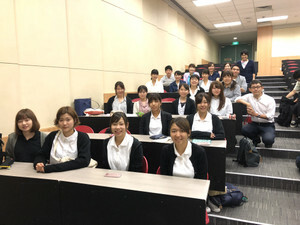 They attended a lecture about healthcare system/nursing education system and curriculum in Japan. 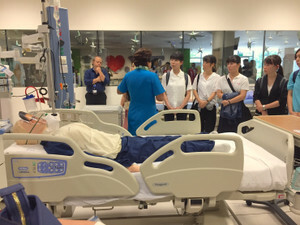 After that, they toured Seirei history museum and facilities for nursing students like the simulation room on campus. 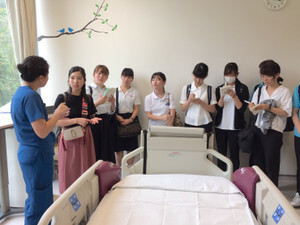 In the morning, they visited “Hamamatsu City Rehabilitation Hospital”. 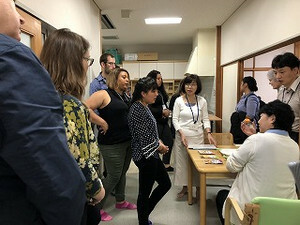 They observed dysphagia examination and learned the way to meal assist patients with dysphagia. In the afternoon, they had baby bathing exercise on SCU Campus. 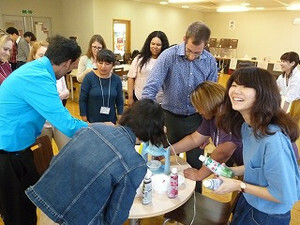 They experienced baby bathing and found differences between the way in Japan and the ways in Singapore or China. One thing, they found was that nurses put a gauze to make baby feel relieved. 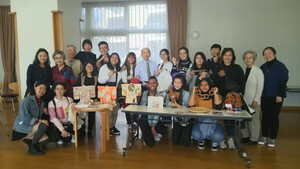 In the morning, all students and faculty members visited Hamamatsu Yuyu no Sato, a welfare facility for the elderly located close to the university. 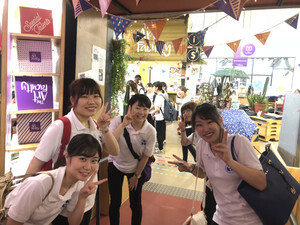 They observed the elderly support system in Japan and were impressed that the elderly were well taken care of and were independent to enjoy their daily life. 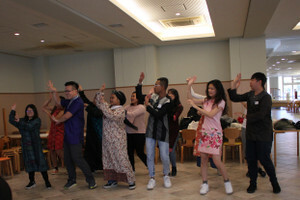 They spent a good time to interact with elderly residents. 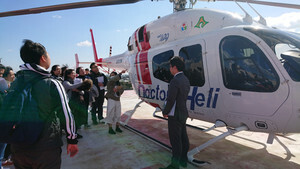 In the afternoon, they visited a helipad, a hopice and a maternity home "Tanpopo" at “Seirei Mikatahara General Hospital”. 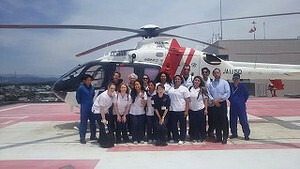 Everyone was really excited to see a helicopter very close on the helipad. 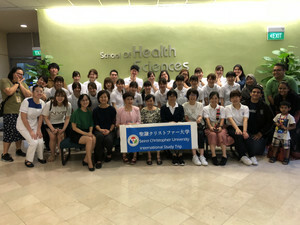 Eight students and one faculty member from Department of Speech Language and Hearing Sciences, School of Rehabilitation Sciences, Seirei Christopher University (SCU) are participating in the study program arranged by John A. Burns School of Medicine (JABSOM), University of Hawaii (UH) at Manoa from March 22 to 28. 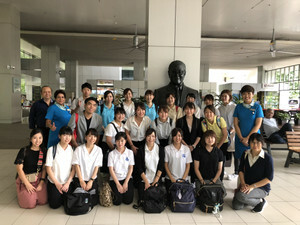 So far, SCU students observed hearing screening, and practiced group trainings for children with aphia (and many more!). 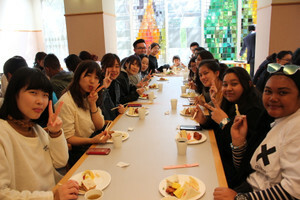 They are also enjoying the cultural exchange with JABSOM students. 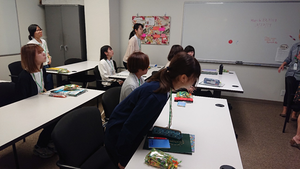 They are actively participating in the programs by speaking up in classes and trying to communicate in English. 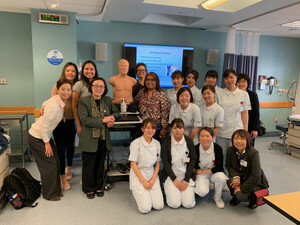 Nine students and two faculty members from School of Nursing, Seirei Christopher University (SCU) are participating in the study program arranged by School of Nursing, Samuel Merritt University (SMU) located in Oakland, California, from March 15 to 22. 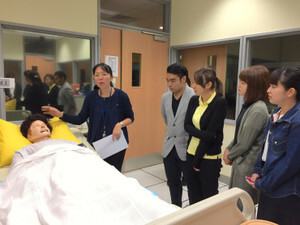 SCU students experienced a program at the simulation lab under the supervision of SMU faculty. 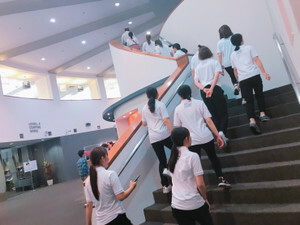 They had practiced this in English at the pre-training session with SCU faculty in February for this day. It was a great success. 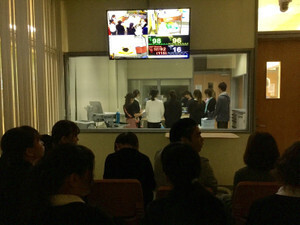 They had debriefing session after the simulation lab. 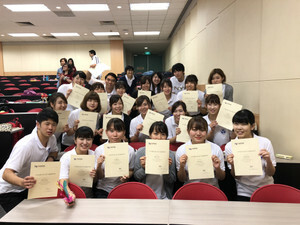 SMU professors gave positive comments about communication skills and teamwork SCU students demonstrated under pressure. 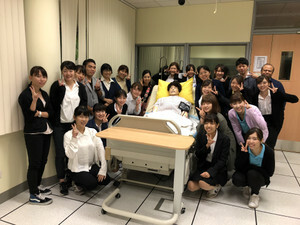 Group photo after the simulation lab. 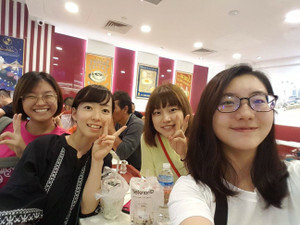 This is a photo from the student exchange party. 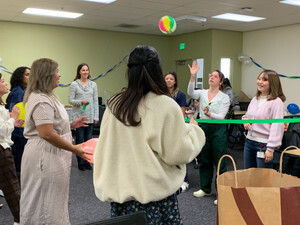 SCU students planned volleyball game using a Japanese paper balloon (kami fusen) and enjoyed their time shared with SMU students. 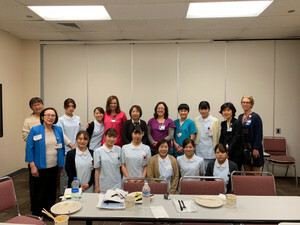 They spent lunch time together with Japanese nurses working at Walnut Creek Medical Center, John Muir Health. 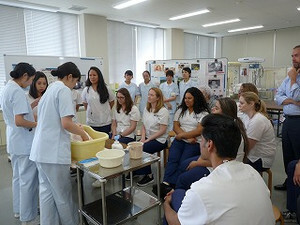 It was a great opportunity for the students to ask about nursing in the USA and to compare them with nursing in Japan. They had a very meaningful time. 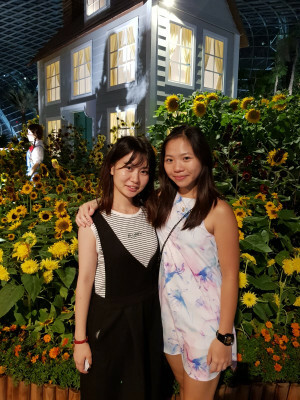 Two of SCU School of Nursing senior students reported their experiences at Nanyang Polytechnic (NYP) in Singapore from September 3rd to 14th to all the junior students in School of Nursing. 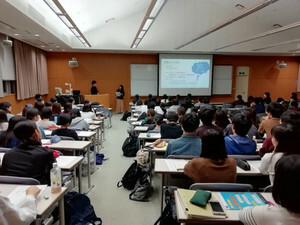 The debriefing session was held on November 16th. 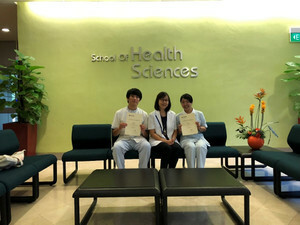 They said they found strength of nursing in Singapore through the practicum at the general hospital or regional hospital. 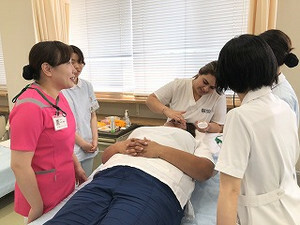 Also, they reconfirmed strength of nursing in Japan. 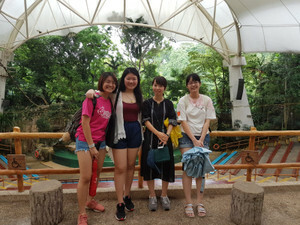 They also shared about the attraction of this training that they communicated with local people and learned the culture in Singapore through homestay experience, student exchange and sightseeing on the weekend. 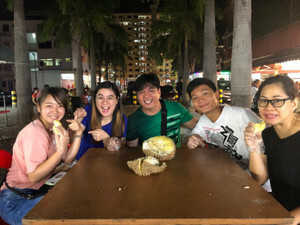 SCU students stayed with NYP students (host families) for 2 nights just after their arrival to Singapore, to experience family culture of Singapore. 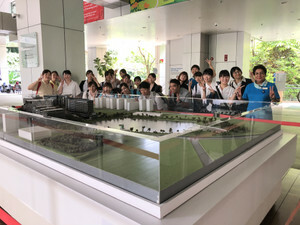 The students were a little nervous about communicating in English before the arrival, however, because they had video chatted in summer, they were very happy to meet NYP students at the airport. 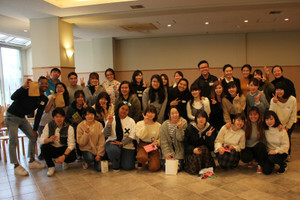 Each student had a wonderful time with their host families. Also, they spent some time together during and after the program to deepen their friendship. 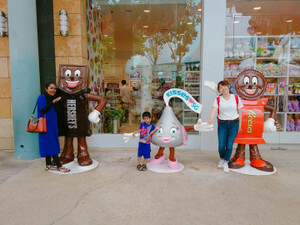 I am still in touch with my host family. 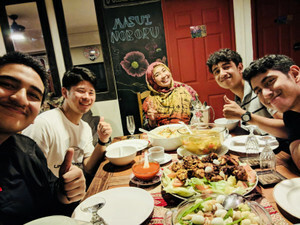 My host family shared a lot of things about Singapore. 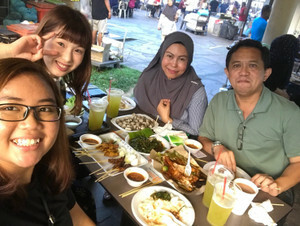 I think no one kindly explains about Singapore as much as my host family. 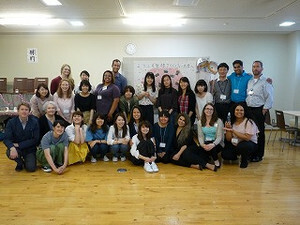 This opportunity helped to improve my English by communicating with people who cannot speak Japanese. Also, I had a great time because my host family welcomed me very warmly. 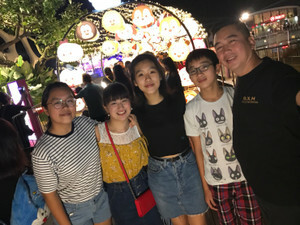 There were some times when I had troubles in communication, but I learned a lot of good things about Singapore from my host family by traveling around the city with them. 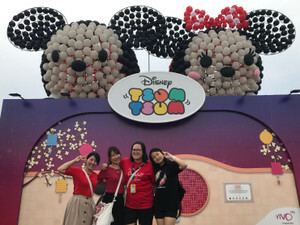 I was so happy because my host family was very nice. 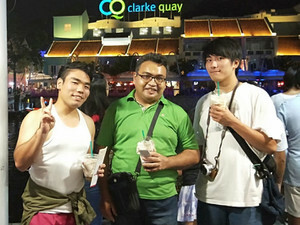 I was able to experience the Singaporean culture as well. 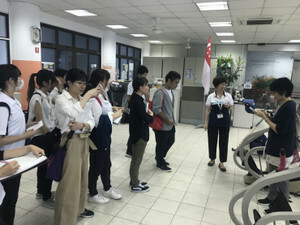 They visited three facilities that SPD(facility of rehabilitation for people with disabilities), Khoo Tech Puat Hospital(general hospital) and SG Enabling Village(facility for people with disabilities). 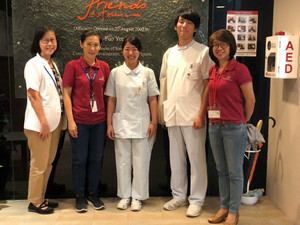 They seemed to understand more deeply to actually visit healthcare and welfare facilities in Singapore. I could see people with disabilities worked lively. I had an image most of them in Japan make products in vocational facilities. However ,they were assigned work individually and fulfill their responsibilities in SPD. I had a hope to hear someone leave this faculity and reintegrade into society. I think this facility is really good because it support children, adult and elderly people for all and bring out their ability individually. This hospital divides rooms depends on cost of treatment which patients pay. 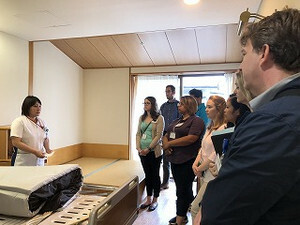 There are luxury hospital rooms like a hotel, while there are wards that are some beds for patients in a space separated with low walls without air conditioners. I was shocked because I have never seen this situation in Japan. I realized there are differences about equipment in facilities depends on organizations in hospitals or wealth disparity in Singapore. 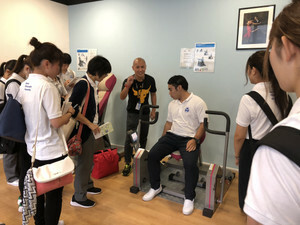 And I was surprised staffs in the hospital also exercise. I was really impressed the word “KTPH=Keep The People Happy”. I’m satisfied to visit the first concept of facility in the world. I was impressed nice baskets and registers in the supermarket. I think these kind of facilities help people with disabilities to work if there are more. I think it is a very nice concept so that people with disabilities and elderly people live by themselves. I heard this facility was originally a school, so it was renovated a barrier-free facility. I hope such facilities increase all over the world. 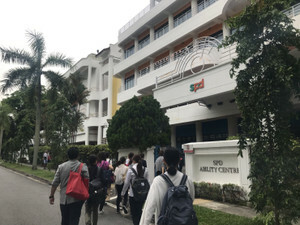 SCU conducted the Study Visit to School of Health and Social Sciences, Nanyang Polytechnic (NYP), Singapore from September 1 to 9, 2018. 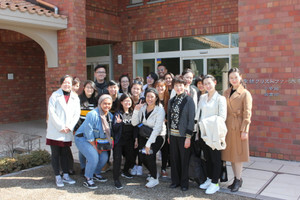 20 students from School of Nursing/Social Work and 2 faculty members attended the visit. 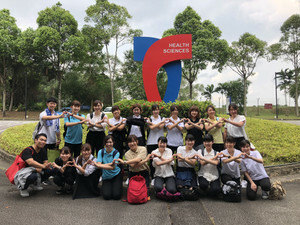 Through 9 days visit, they learned about Singapore’s healthcare and welfare system, and increased their understanding of other cultures. 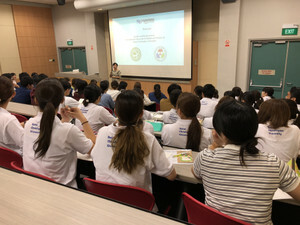 During the visit to NYP, three lectures and simulations by NYP, the lecture by Shizuoka Prefecture South East Asia office as well as introduction of the School of Health and Social Sciences and campus tour were conducted. Before visiting Singapore, I just picked up positive aspects of Singapore healthcare system relative to Japan. 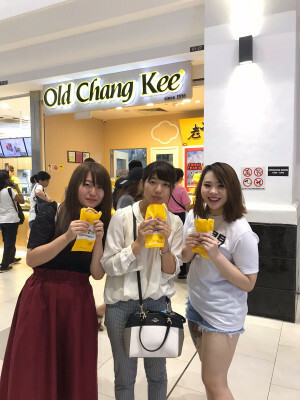 However, I could broaden my perspective to understand Singapore by learning Singapore’s particular problems with the declining birth rate and a large number of diabetics. 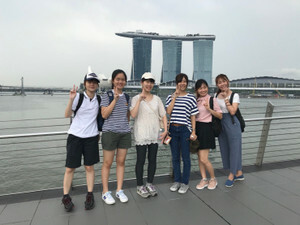 Through learning economic activity provided by the government, I could learn the importance of economic activities in Singapore and understand why Singaporean people try to acquire enough skills for better employment. I could learn pros and cons about social system in Singapore. It was very impressive that even an illegal immigrant was taken care at the hospital and hospice to the last breath. 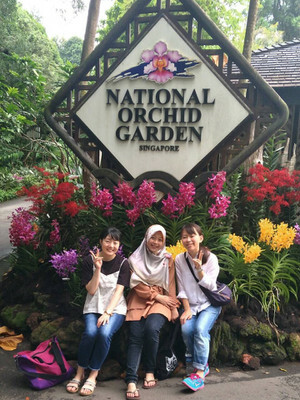 It is quite surprising that the area of Singapore is only one-eleventh that of Shizuoka prefecture. And I could study the detail about Singapore’s industry, diplomatic policies and others. 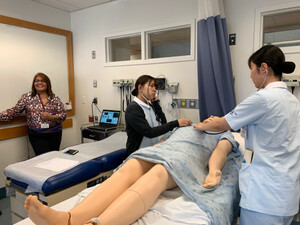 The quality of simulation provided by NYP was quite high, which I didn’t expect to take. I will be able to utilize the experience in the future. 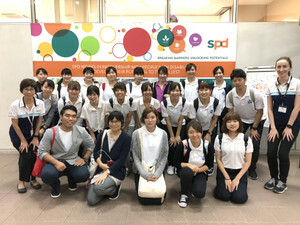 SCU conducted the first Study Visit to SIT from August 15th to 24th, 2018 for six students of physical therapy course and six students of occupational therapy course in School of Rehabilitation Sciences, SCU. Also two of faculty members accompanied them. 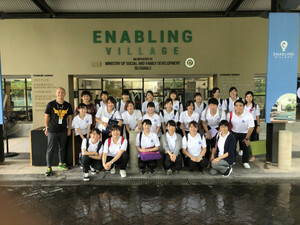 All of them received a warm welcome from the SIT students and staffs who came to visit SCU in May during their stay in Singapore. SCU really appreciates the wonderful hospitality of SIT! PTブログ 1. 2. 3. 4. 5. 6. Please see the details from the above links, SCU-OT＆PT blog. 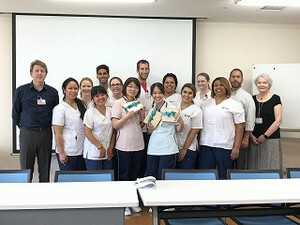 10 nursing students and 3 faculty members participated in the study visit from Samuel Merritt University (SMU) in the United States from Monday, June 18 to Monday, June 25. 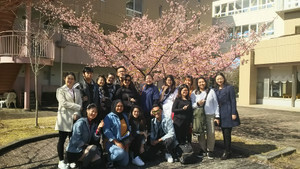 SMU students learned about nursing and culture in Japan and had many different eye-opening experiences that they would like to bring back to the U.S. through participation in lectures and activities done by SCU faculty and visit to hospitals and facilities. 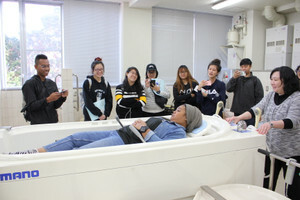 They had bathing exercise for newborns with some 4th year nursing students of SCU. 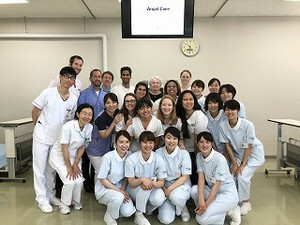 The way Japanese nurses wipe around eyes of the newborns was different from that of the U.S., so the students were very surprised. 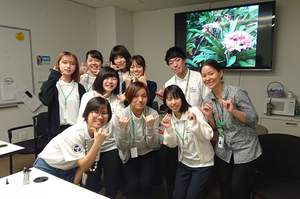 However, when they heard the reason why, many of them said "Yeah, I am going to do the Japanese way from now on!." 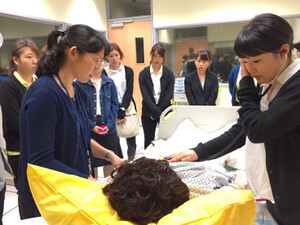 Also, they practiced angel care with some 3rd year nursing students of SCU. 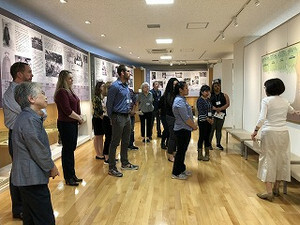 SMU students were impressed with how nurses provide care for patients even after they pass away and the thoughtfulness of nursing in Japan. 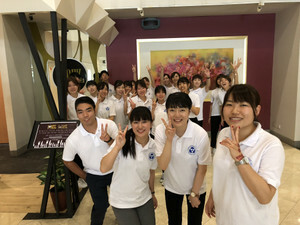 The students and faculty members of SCU and SMU did a lot together, including homestay, exchange party and tour of Hamamatsu city. 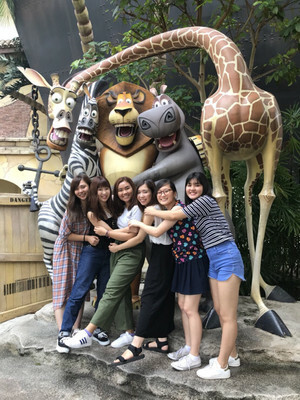 They all enjoyed a lot together that they forgot about the language barrier SCU students were worried about before the arrival of SMU group. 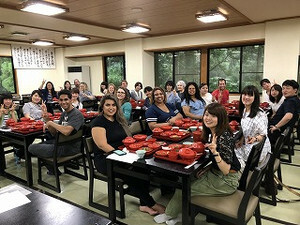 SCU students learned from SMU students how important it is to try SMU students learned from SCU students the true heart of hospitality (in Japanese, "O-MO-TE-NA-SHI"). 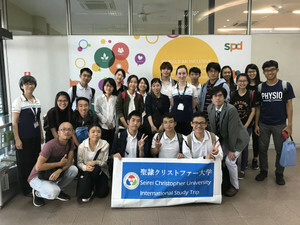 We believe that these kinds of learning experiences from each other are meaningful part of overseas study visit, in addition to learning about healthcare and welfare in foreign countries.